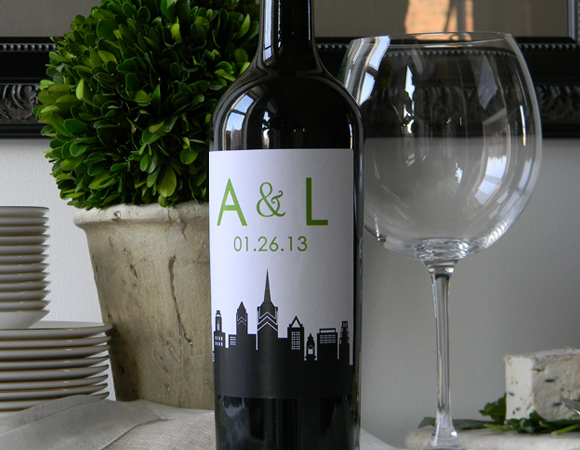 Wine bottles can be transformed if you remove the label and substitute your own. 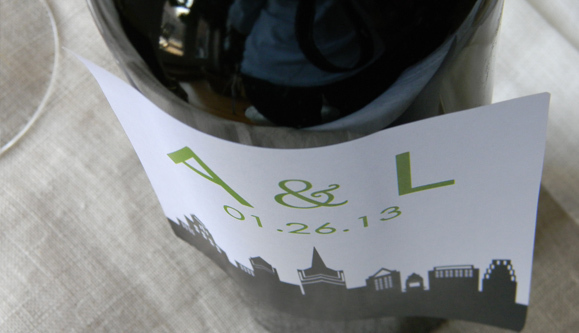 They make wonderful personalized gifts, or can even act as table numbers. But first you’ve got to get the labels off! Here are two methods to get you on your way. 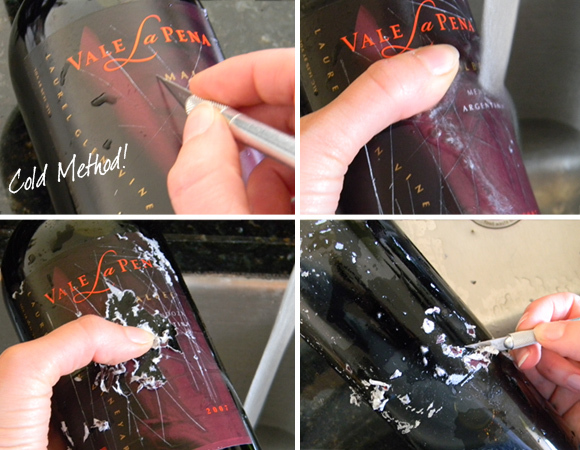 THE HOT METHOD… This method is SO darn easy, but clearly won’t work if you are keep the bottled filled. The heat will ruin the wine! 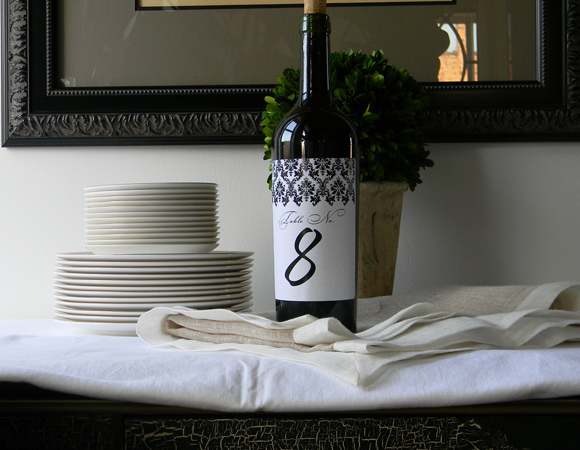 But if you are collecting empty bottles to use as decorations or table numbers, this is the way to go. 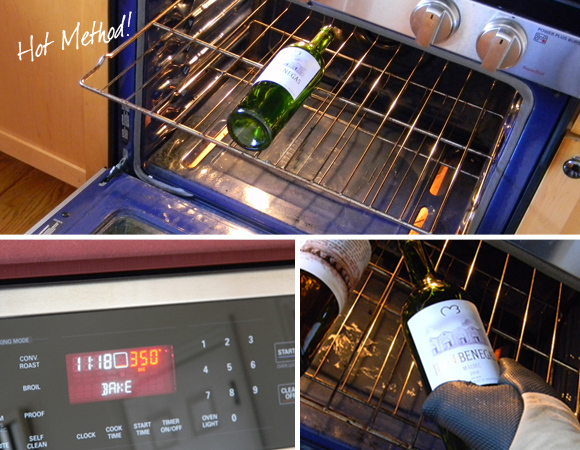 Slide the bottles into an oven that has been preheated to 350 degrees. Leave them in for about 10minutes. Make sure you use an oven mitt because the bottle will be HOT! Next, use something like an X-Acto knife to get under one corner. Slowly peel. Once you start, most labels are easy and come off in one big piece. If you are using your bottles as decoration and want them to look opaque, fill them with something darkish (I used the leftover morning coffee here) and stretch it with water. Screw the top back on or push back in the cork tightly. And there you go, yea for Table #8! THE COLD METHOD… This method is really the lukewarm method as you still need to get the water a touch warm to work. If you are giving the bottles as gifts you need to be gentle with the temp so this is the route to go. 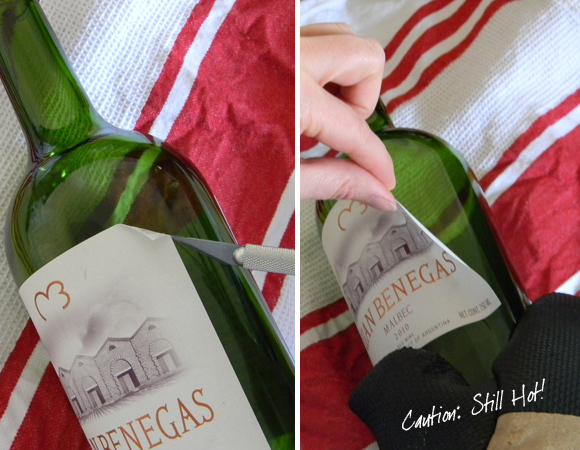 Using a blade, scuff up the label a bunch. Then run warm-ish water on the label, so it begins to soak. As the paper loosens up just rub it off or use your blade some more. Again, once the majority is done, something like Mineral Spirits works great for the last sticky bits. Center the label. I think pressing the middle down first is easiest to set it straight. And your bottle is all ready to go!